Among the many topics hashed out among Privacy List subscribers in the past month, two of the most robust issues involved data breach notification and organization-wide privacy and security training. U.S. lawmakers have been proposing draft legislation that would standardize data breach notification, but until such a law is passed, many privacy professionals grapple with how to navigate and address obligations in multiple state-level jurisdictions. As was reported in The Privacy Advisor last month, institutions of higher education hold vast amounts of personal—and, often, sensitive—information about their student bodies, employees and alumni. Additionally, during a time in which data breaches proliferate, distance learning, notes one privacy pro, has become a viable and convenient option for more students than ever before. It is clear that more organizations are implementing privacy and security training for their employees. Issues including training focus, frequency and duration were covered in one such Privacy List discussion. 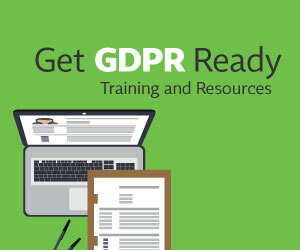 More than half of the respondents said they combine their privacy and security training programs and require employees to undergo training at least once a year. Most reported that new employees are given initial training as well. Another privacy pro provided a detailed analysis of his company’s training program, noting that in some areas “the line between privacy and information security is blurred.” Describing an internal/external paradigm, the privacy pro discloses specific areas where only privacy or information security is addressed. The Privacy List is a free service for IAPP members only.